According to the football transfer rumours in Italian Media, Juventus are interested in Liverpool midfielder Emre Can. The German international has joined Liverpool from Bayer Leverkusen for a fee in the region of 12 milliom euros in 2014. The 23 year-old has a valid contract with Liverpool until June 2018. Since his arrival from Bayer Leverkusen, Emre Can has scored six goals and provided six assists in 111 games for Liverpool, including three goals and provided two assists in 22 games in all competition this season. It’s unlikely Liverpool would be open to selling Emre Can in the January transfer window, but Juventus, who sit on the top of the Serie A with 48 points from 20 matches, are a very attractive proposition for the German international. 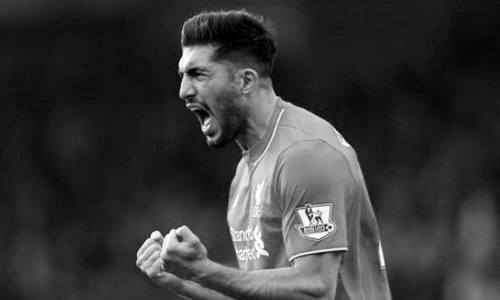 Euro Football Rumours were informed that Liverpool midfielder Emre Can is one of the top targets of Juventus in this transfer window. The Italian giants are also interesting in two fantastic midfielders, the German international Mahmoud Dahoud and the France international Corentin Tolisso. How strong that interest is and whether Juventus will make a January move remains to be seen but it is certainly one worth keeping an eye on.